Been thinking about getting onto the trails? Jealous of mates exploring whilst you sit at home doing nothing? Well, problem sorted! Introducing the Pitch Comp Mountain bike, the perfect bike for beginners looking to experience some off-road action. The Expert edition features two chainrings at the front that help to prevent failed shifting in difficult conditions with an improved Shimano Deore rear derailleur and a bigger 11-36T cassette so you still get the range you need to roll up the hills and race down them. 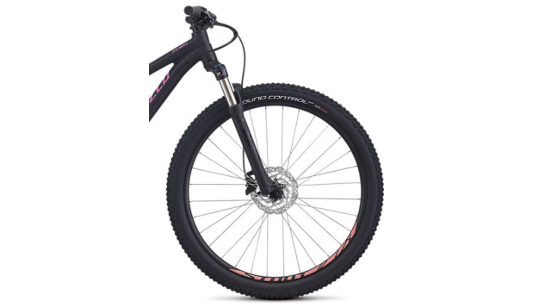 As well as this, a coil-springed fork features for comfort purposes, meaning this MTB has all you need to get started with. The Pitch range has been designed to help those unconfident about getting on their local trail or exploring the mountain bike tracks near home accessible. The geometry has been designed to provide a relaxed feel, whilst up to 100mm of suspension in the fork helps to take the pinch out the rough terrain. Finally, Shimano's hydraulic disc brakes offer far improved reliability as well as reduced maintenance compared to mechanical disc brakes. The frame is constructed from lightweight A1 Premium Aluminium in order to provide a compliant, durable platform to support our acclaimed Women's Sports Trail 650b Geometry. 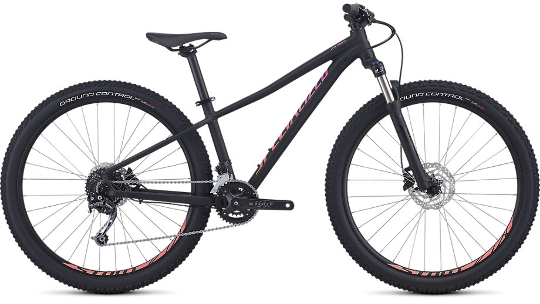 Combined, you get a bike that's extremely versatile, making it equally capable on the climbs and descents. Front & Rear Tyre: Ground Control Sport, Flak Jacket flat protection, wire bead, 27.5 x 2.3"